So this is it. 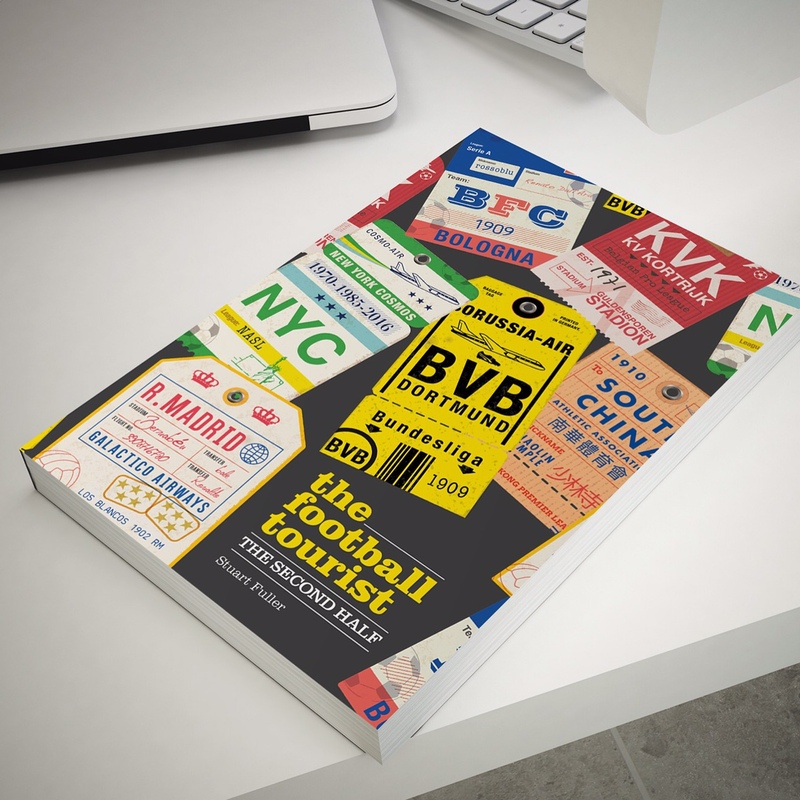 30 days since it all started, over 15,000 words written on this blog and countless beers in the name of World Cup research. The two best teams in the world? Possibly not. The two best teams in the tournament? Maybe. But when has the best two teams ever competed in the final? That is the beauty of the tournament. But here I am with split loyalties. My head and heart says Germany – I think they have had the right attitude from the first game against Portugal with incredible teamwork. I also had a top night with the German fans in Singapore on the night they played the Portuguese. But my stomach says Argentina as my department at work got them in the sweepstake and if they win we get a free lunch this week. My choice of beer? Icelandic White Ale of course. With the global ban on football for anyone involved in a club due to come into force this would be my last chance to bet. I’d put a cheeky £5 on Müller to the top scorer at start of the tournament so I followed that up with a £5 on Germany 1-0. 1. Rio the Easyjet Steward– Footballers never look comfortable wearing ties but Rio has taken this smart look to a new level, with his blazer and orange tie, last seen on the Easyjet flight from Malaga to Liverpool. Surely, someone in wardrobe must have said to him he looked a little silly? Or did he simply buy the outfit on eBay from Luis Van Gaal? And why did they need to dress up anyway? It’s the last day of “term” – they should have brought in board games, party food and all worn t-shirts that the rest of the group could sign. 2. Concussion – Why do team doctors always wear suits? That was one of the things I noticed last night in the Dutch game? They walk on confidently and all of the players immediately stand back, giving them the respect they deserve. Tonight the German man was called on to look at last minute replacement for Khedira and then was on the end of a sickening collison when he ran into Garay. Immediately the commentators assumed he was concussed – a superb diagnosis from the TV gantry where there is often no external visible signs. 3. Goal face – Is there anything funnier in football than seeing a player run away in celebration for half a minute or so when everyone else in the stadium has seen the linesman’s flag raised? That is unless it is your team that has scored. 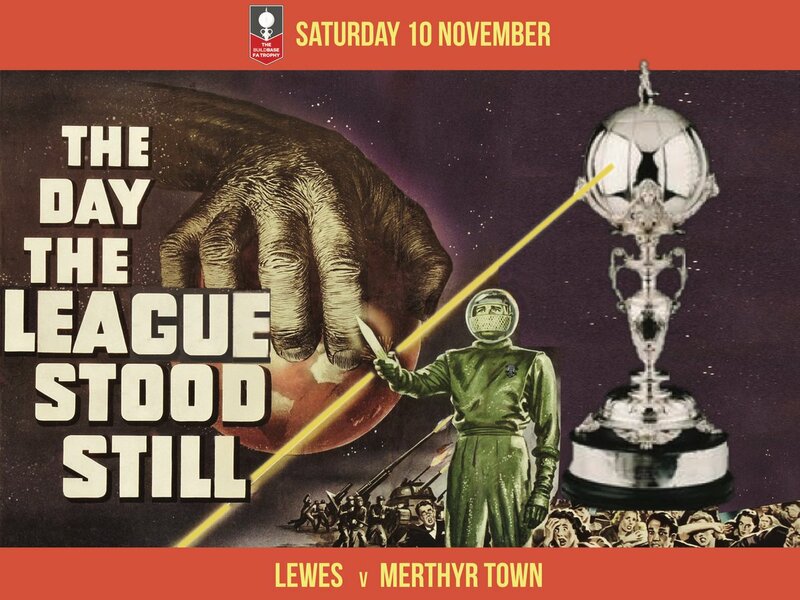 A perfect DVD compilation for someone to release just in time for Christmas, voiced by Alan Partridge in his “Crash, Bang, What a video” voice. 4. If Townsend is bad enough – I think we have tolerated Mark Lawrenson during the tournament because he was marginally better than Andy Townsend. But faced with an either or option it really is hard to take. It is incredible that both played football at the same time for so long yet can add absolutely nothing tactically to the commentary. All they both do is tell us what we can blatently see and try to make cheap jokes. “Some village has just lost his idiot” he said towards the end of normal time. Not sure if he was talking in the 3rd person or about an unseen pitch invader. I’d rather have Harry Hill commentating – and I cannot stand him. 5. The best team won – I may be in the minority but I love watching German football and the team have been a pleasure to watch in this tournament. Right from the maverick confidence of Neuer (you know that one day he will make an almighty clanger), the cool-headedness of Lahm, the warrior-like never say die attitude of Schweinsteiger and the attacking threat of Müller. Bear in mind that the squad was missing Marcus Reus, one of my favourite attacking players in Europe. Five of the players now have a World Cup winners medal to go with last year’s Champions League winners medals. Who would bet against them adding a European Championship one in two years? So that’s it. 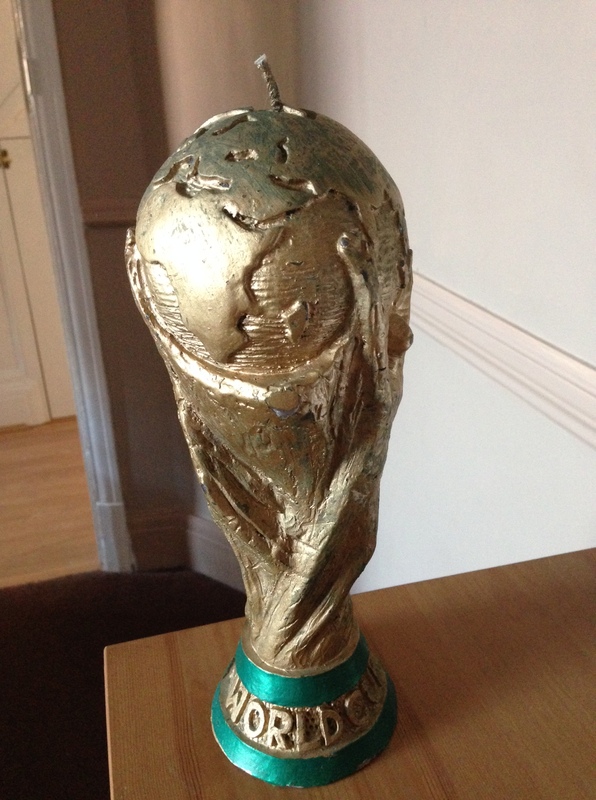 The World Cup candle has gone back into storage for four more years. It’s been the best four weeks ever, having watched games in six countries at all hours of the day and night. Let’s do it all again in Russia in four years. I’ll bring the beer. This entry was posted in Argentina, Germany, World Cup, World Cups and tagged Argentina, Germany, World Cup. Bookmark the permalink. 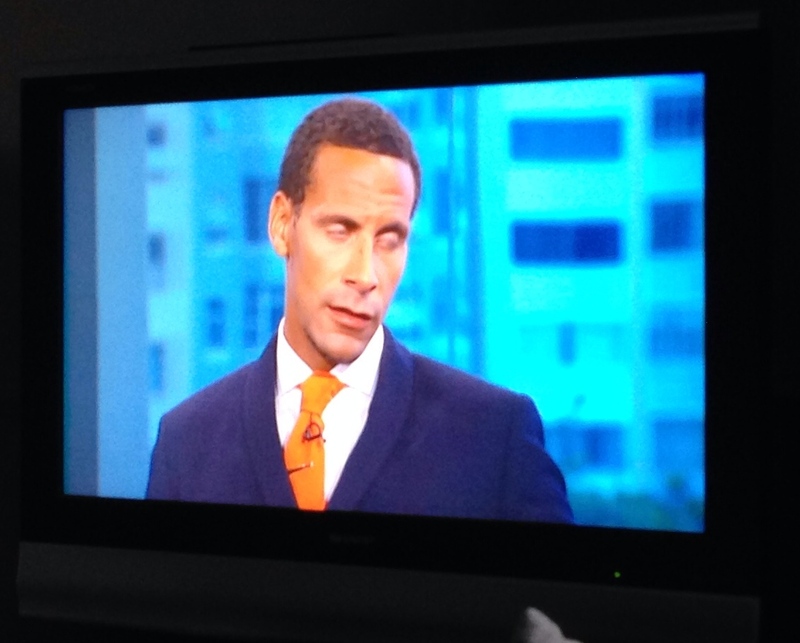 Great analysis of Rio’s tie haha – he did look like an idiot. And Townsend is just a horrible, terrible, awful commentator.